1. Beat egg white and warm water into a froth, in a large mixing bowl. 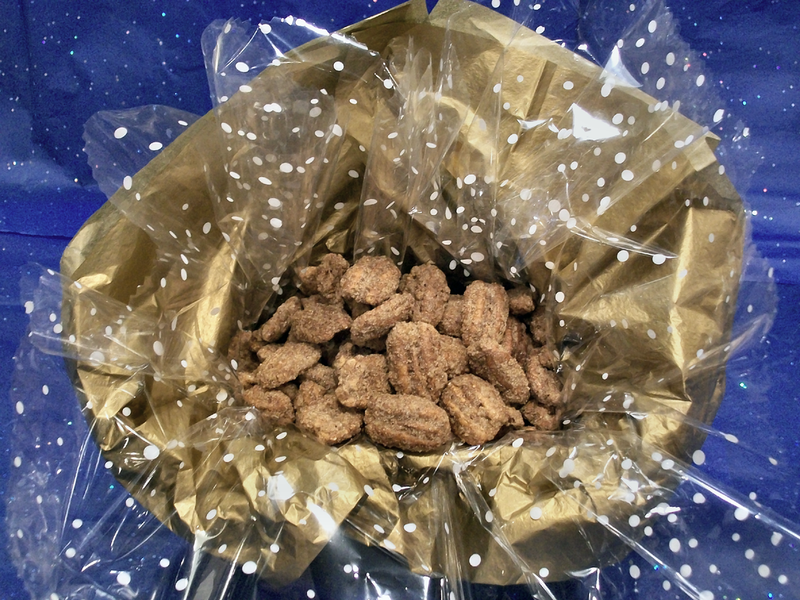 Stir in pecans, coating evenly. 2. 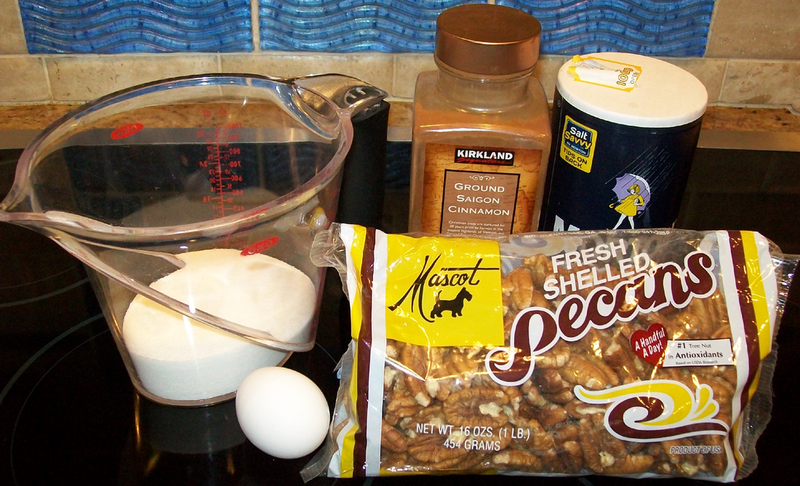 Mix all dry ingredients, in a large measuring cup, and slowly add to the egg washed pecans (mixing together well). 3. Spread evenly on an un-greased cookie sheet and bake for 30 minutes at 300°F (148.89°C), turning every 10 minute. 4. Remove and cool to allow candied glaze to set firm. Use a separate cookie sheet when baking multiple batches. * Try substituting half the amount of white sugar with brown sugar. * Try adding Vanilla extract instead of water. * For a little kick, sprinkle lightly with Cayenne pepper. * When doing multiple 1lb batches, don't clean the cookies sheets in between. Pecans contain magnesium, a mineral that helps strengthen the immune system. Also a good source of protien, fiber, Omega-6 fatty acids, antioxidants, and plant sterols which reduce LDL ("bad") cholesterol levels. 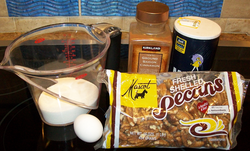 Pecans included in the daily diet may help delay age-related nerve and muscle degeneration. Cinnamon, true "Ceylon cinnamon," is believed to have many benefits which include moderating blood glucose and cholesterol levels, antibiotic properties, fighting food-born bacteria, and reducing arthritic inflammation among others. Incidentally, Cayenne pepper is known to increase metabolism while reducing LDL cholesterol and triglycerides.